According to the rating of the international consulting company Mercer, Limassol ranks 88th in the TOP-100 of the best cities in the world for quality of life. The city, with its year-round warm climate, convenient geographical location has always attracted investors and those people who would like to have a property on the sea. To date, the Limassol real estate market is more attractive to foreign buyers than it has ever been in decades. The city is actively developing, transforming and is the undoubted leader in the sale of elite, exclusive real estate in the segment of "luxury", the number of smart skyscrapers is skyrocketing. Several high-rise buildings are already being built; others are waiting for the start of construction. The tallest commercial building is the 16-storey high-rise building The Oval, a few meters from the sea and not far from the city center. Soon the tallest residential building ever built on the coast will be built. Skyscraper called ONE will have 37 floors, and the height of the building will be 170 meters. The project budget is about 120 million euros. Another project called Landmark will be a 30-story building near the Limassol zoo. Inside there will be 233 apartments, a fitness center, a hall and a business center, as well as commercial premises. By 2023, the construction of the Lanitis Seafront complex will be completed. It will consist of three separate towers, the highest of which will total 37 floors. In total, 297 apartments, 10,000 sq.m of office space and 1,800 sq.m of commercial premises will be located in the buildings. It is also planned to build three swimming pools and 1500 parking spaces here. 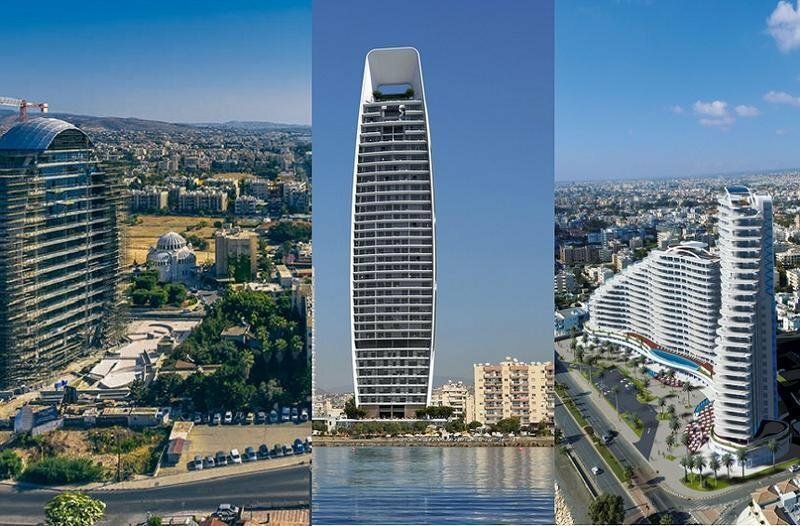 Other skyscrapers, the construction of which will be completed in the coming years - Limassol Del Mar, Olympic Resort, The arc-ship, Icon, Sky Tower, iHome and others. Remember, in childhood many of us had a dream to sit in the elevator, press the top button and, closing our eyes, in anticipation of imagining that the final stop will be somewhere in the clouds ... And would you like to become a property owner in a skyscraper?